“When our beloved mutt, Auntie Mae, died of cancer in 2012, we felt like our family was no longer complete. It was important to us, after so many years of love from a dog we found on the street, to give another animal the chance at a happy life. We started searching for a rescue group, and it was recommended that we check out Fuzzy Friends. At Fuzzy Friends, we met a small puppy that fit right into our family. We named him Charlie Waffles, and other than the occasional puking in the car, Charlie is one of the most loyal and loving animals I have ever met. Then, just a few years later, our dog Molly Bear passed away, and we felt a pull to adopt another homeless animal into our family. Because of the wonderful experience we had with Fuzzy Friends, we immediately went back to them. The loving staff took the time to introduce us to multiple dogs, and we fell in love with Benny Beans. 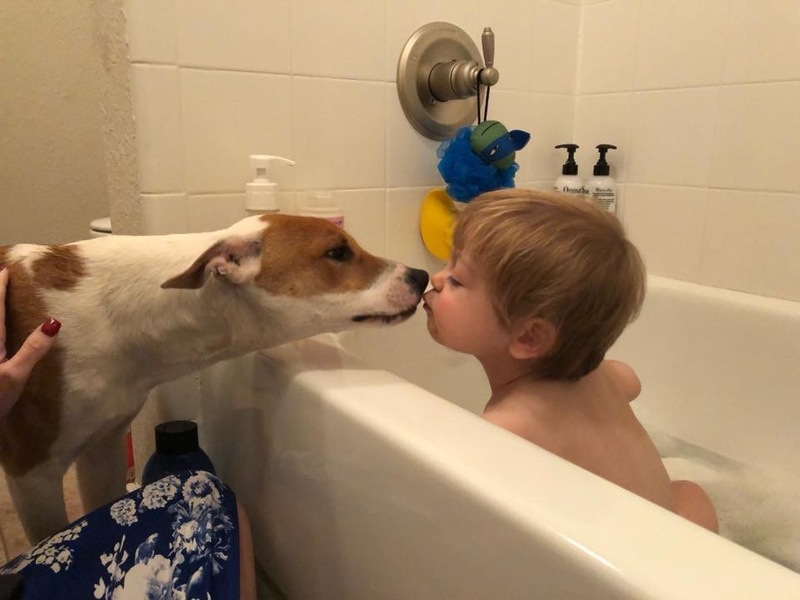 Amazingly, he was bitten by a snake as a small puppy, and Fuzzy Friends nursed him back to health. Without them, this puppy would not have survived. I’ve always known that Fuzzy Friends Rescue is the gold standard for no-kill shelters, that they have helped thousands of homeless, broken animals to become adoptable pets who not only live happy lives but lives filled with purpose. They are known for their compassion and generosity in caring for the animals of our community. Having fostered for FFR for nearly a decade, I’ve experienced firsthand the way this rescue focuses on the animals’ health and needs and the best practices to help them move forward, providing stellar medical care and love from staff and volunteers. 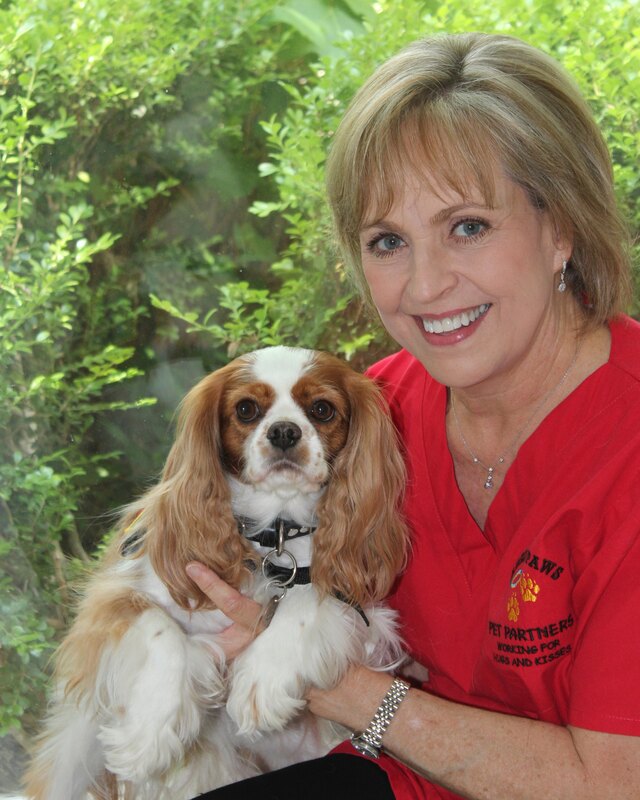 This became very personal to me when I received a call from Fuzzy Friends Rescue staff on October 4, 2012, telling me that a small Cavalier King Charles Spaniel was brought in and needed fostering. Since that is the breed I have and love, I was there within the hour, picking up a small Blenheim Cavalier that was skinny and frightened. We took our time bonding; to say that Emma bloomed is an understatement. I trained her in obedience, and her personality and calm spirit was so striking that we signed up to be evaluated for pet therapy certification with a national organization. Emma quickly became a joyful, confident registered therapy dog. For six years, Miss Emma and I have given back to our community by visiting facilities like McLane Children’s Medical Center, Providence Hospitals, Waco Public Library and Baylor University Library. We have also visited six Central Texas school districts to teach an anti-bullying program to third-graders, and recently, we took on the Fuzzy Friend Rescue’s Adopt-A-School READ program at Cedar Ridge Elementary. Emma shines in comforting people who are hurting, as well as frightened foster dogs. She is known for her gentle spirit, patience and unflappable good nature. Without the love and care from Fuzzy Friends Rescue, she would not have reached her full potential. Emma is my little heroine, and Fuzzy Friends Rescue will always have my unwavering support. 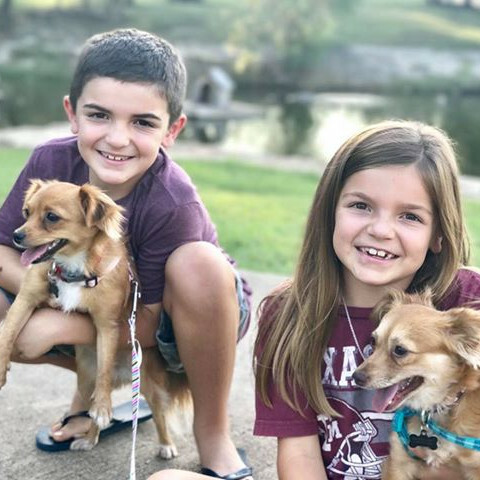 Our family of four stumbled across Fuzzy Friends on a simple internet search once we decided our children were ready for a puppy. We submitted our application and very shortly after that we saw a potential match for us. I drove the whole family up to Waco to meet Penny. We could tell she was loved and very well taken care of. The staff was so kind and helped us understand her story and what sort of attention she would need in the following weeks. It didn’t take us long to decide that Penny was the puppy for us. About a year later, I just happened to be scrolling on Facebook and noticed a post from Fuzzy Friends that caught my eye. They had pulled a little pup from the Waco shelter that looked so similar to Penny. I sent a message that instant and for a few weeks the caretakers at Fuzzy Friends and I called one another. Every few days, they would check in with me and update me on the pup. I was so impressed that they took the time to do this – especially during the Holidays. The skinny, scared pup was in quarantine and also needed to be spayed. She had been on the street so she needed lots of extra care at Fuzzy Friends. We went to meet the second pup a week after New Year’s Day. We took the entire family as well as Penny so that we could see if everyone would get along. The folks at Fuzzy Friends let my daughter meet them at the door so that she could walk her in herself. It took us about 3 minutes to decide on this little pup – we couldn’t get her signed out fast enough! We named her Peso before we left the parking lot. 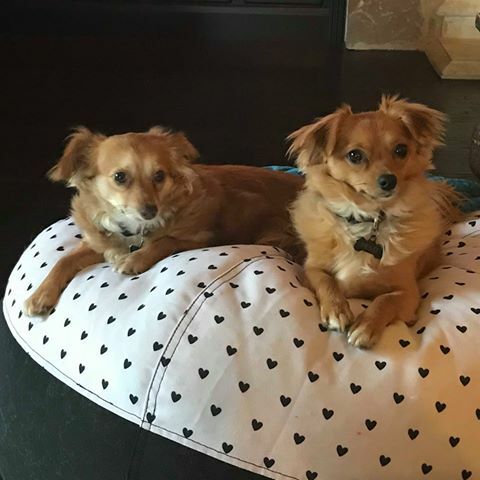 Penny and Peso are teeny-tiny long-haired chihuahua mix pups, but they fill our hearts so! I know that the workers and volunteers at Fuzzy Friends must be so busy and they probably hear so many sad stories, but I cannot express the extent of my gratitude for their care of our dogs. The communication before, during, and after their adoptions was so appreciated. These days, Penny is in charge. When she decides it is time to bark, Peso will bark as well. She treats Peso like a baby and cleans her by licking her face at night. Penny aims to please and is our more cautious dog. She can usually be found by our son in the evenings – he likes to read quietly in bed for hours. Peso is our wild dog. Peso is the first to explore and she likes to greet everyone that comes to our home. If anyone sits down – family or visitor – Peso will nudge her way on to their lap. Peso can usually be found wherever our daughter is – they are the best of friends. How lucky we are to have found two perfect matches to complete our family at Fuzzy Friends!